In the spring of 1942 thousands of Japanese Americans were forcibly relocated from their homes along the west coast of the United States to internment camps across the country. It is a page so often forgotten in one of the most glorified chapters of American history, but it is one that we as Americans must never forget. Following the horrific attacks on September 11, 2001, our nation was confused, afraid, and driven to confront a new enemy most knew very little about. As politicians scrambled to act, it became clear that Muslim Americans were suddenly under the spotlight of suspicion. With the signing of the PATRIOT Act, our government once again began to narrow the freedoms of a select group of citizens in the name of national security. Out of this shared American experience, the Japanese American Citizens League (JACL) and the Council on American Islamic Relations (CAIR) founded the youth program Bridging Communities. 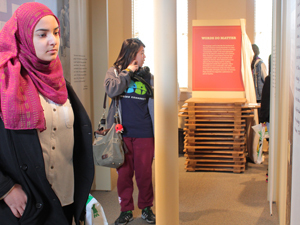 The program strives to educate Muslim and Japanese American youth about the history and circumstances surrounding the internment of Japanese American citizens during World War II. Through workshops that foster cross-cultural dialogue and challenge preconceived assumptions about identity, Bridging Communities brings together high schoolers of many backgrounds to ensure that factors leading to discrimination and racial profiling are not perpetuated. For several years Bridging Communities has been a successful program through the California based chapters of JACL and CAIR, but this year is the first time it has been organized in Chicago. 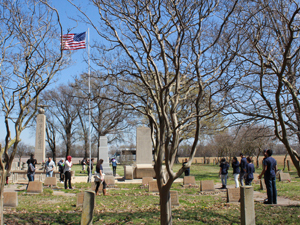 The highlight of the program was a trip to Arkansas this last weekend where students were able to see first-hand the site of the Rohwer War Relocation Center and artifacts from internment camps across the country. Leaving Friday morning students boarded the bus chaperoned by staff from both CAIR-Chicago and the Chicago chapter of JACL. Students explore the the Jerome-Rohwer Interpretive Museum and Visitor Center. On Saturday the group toured the historic Little Rock Central high school where nine African American students had faced threats and violence when they attended the previously all white school. The Little Rock Nine received national media attention and became a symbol of desegregation during the struggle for equal rights. Later that day Bridging Communities was shown around the Mosaic Templars Cultural Center, a museum dedicated to preserving black history. Continuing to explore the issue of discrimination, the Butler Center for Arkansas Studies welcomed the group and delved into the history of Japanese internment in Arkansas. 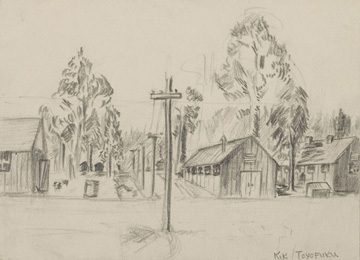 The Butler Center shared archived artwork and primary source documents from Rohwer and Jerome Relocation Centers, and participants were enthralled by the trove of knowledge and the stories shared by Richard Yada, a Japanese American that was born in the Rohwer camp. Participants walk through the cemetery and memorials at the former site of Rohwer Internment Camp. When full, the Rohwer and Jerome camps became the fifth and sixth largest cities in Arkansas. Now they are little more than a couple markers tucked behind privately-owned farmland. 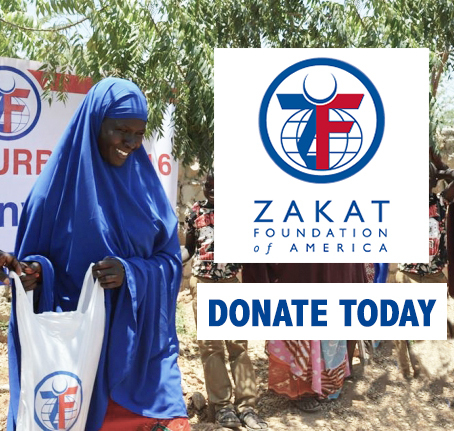 Japanese internment is a page of history that must be remembered, because as Muslim Americans have learned over sixty years later, the struggle for civil rights in the face of national fear, is a struggle that is ongoing. For more information about the artwork featured an the Japanese internment experience in Arkansas please see The Art of Living: Japanese American Creative Experience at Rohwer. Unfortunately this articles does not, repeat does not, tell the complete internment story of WWII. Also profiled in the U.S. during WWII, were German Americans and Italian Americsns ; they too were arrested and interned for the duration of the war and longer. Why is it, I ask, that reporters and the news media constantly fail to tell the truth of internment during WWII? Are they trying to hide the truth? Why do they treat it like a deep dark secret? Did you know, for example, that U.S.-born children and infants were exchanged for prisoners held by our enemy, the Third Reich, Germany? Did you know that with a stroke of the pen that 300,000 German permanent resident aliens were declared as “Enemy Aliens”, they could not fly, they could not leave their neighborhoods, they were mug shot and fingerprinted like criminals? Just imagine! That’s because this article is about the Japanese American internment, not the German American internment. Yes, both were terrible, atrocious events, but this youth group learned about one particular event. The analogy works better with German Americans and World War Two than Japanese Americans. 31,000 German Americans were interned. One of them, a German refugee named Kurt Ludecke, was set to be deported after the war. He challenged the deportation. The Supreme Court, in Ludecke v. Watkins ruled than when the United States declares war, which we haven’t done since 1941, all immigrants from the belligerent country find their immigration status changed to Civilian Enemy Alien. The government can restrict the immigrants movements, intern them and even deport them without a hearing. THIS IS STILL LEGAL. Japanese Americans don’t seem to understand that their is a legal difference between relocation which Korematsu and Hirabayashi address and internment which is addressed by Ludecke. While it laudable to address the egregiousness of relocation. By not understanding the difference between relocation and internment, the legal framework for a future Internment is not addressed and left in place. BTW, we interned in World War One if someone had said something about Ft. Oglethorpe, Ga in WW1 (german immigrants were interned there) perhaps Manzanar wouldn’t have been opened 25 years later. Robert Seward,how about the people interred who were American citizens? These people should not have been interred or relocated because they were not immigrants, but American citizens! How long is the wait in MODERATION?…when will my comments appear? See the pre ions comment.